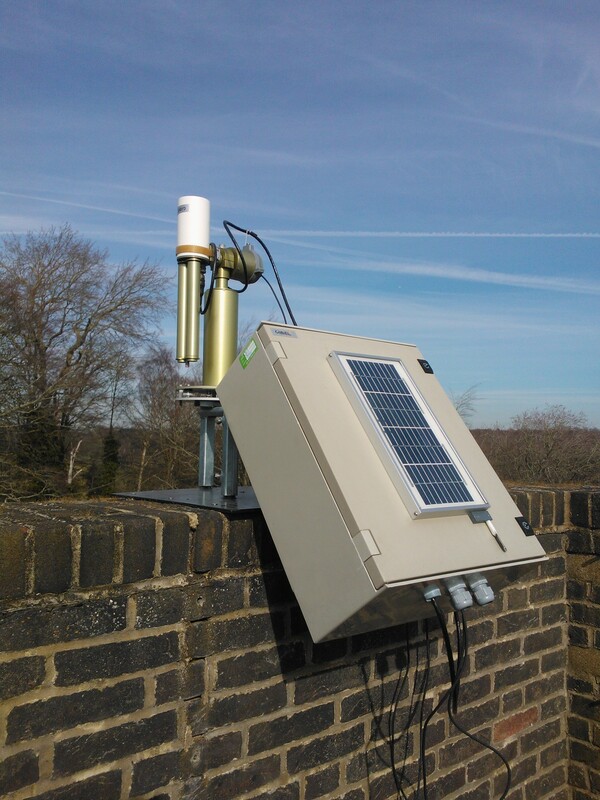 A Sun Photometer measures the thickness of aerosols in the atmosphere. Aerosols are microscopic particles in the lower atmosphere that reflect the Sun's radiation back into space. Data is collected by a photometer using a sun tracking unit, an optical system, a spectrally filtering device, a photodetector and a data acquisiton system. It has two light entry points that are directed at the sun allowing the sunlight to enter the photometer and be filtered. The filters allow different wavelengths into the system to be measured. Because different aerosols have effects on different wavelengths, low levels of a certain wavelength in the system indicates that there are high levels of the corresponding aerosol in the atmosphere. Once the data about the wavelengths has been collected we can infer what types of aerosols the atmosphere contains and in what quantities. This data can be compared with data from across the world to make observations on pollution. An optical depth of 0.1 indicates a clear sky with very few aerosols whereas a value of 4 would indicate levels of aerosols that may make it hard to see the midday sun. The graph above is interactive, draw a box with your mouse to zoom. Depending on the data chosen the plot shows the Aerosol Optical Thickness (AOT) at level 1.5 , 440-870 Angstoms (AlphaT1) and Water Vapor (VaporT). With thanks to Naomi King and Issie Long, St. Richards Catholic College, Bexhill-on-Sea.